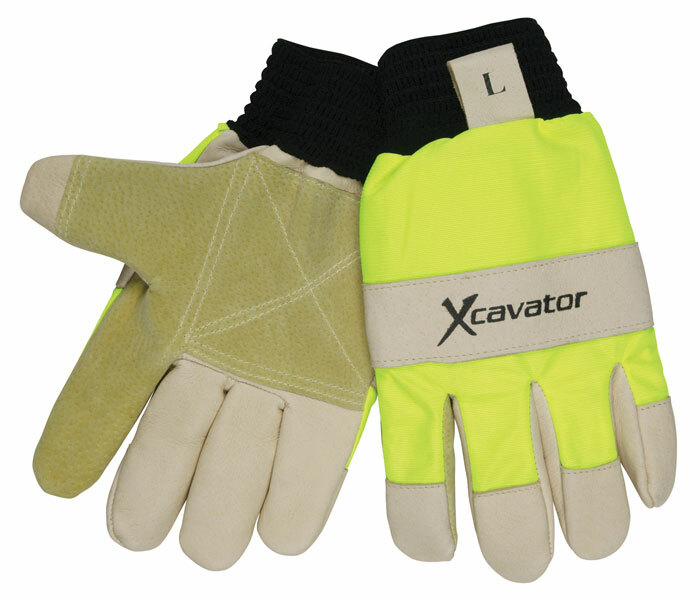 The 940HV Xcavator® glove is a men's gunn pattern double palm glove made of beige grain and split pigskin. The back of the glove is made of a hi- visbility material and it also featuers a black knit wrist for comfort and easy wear. "Xcavator" logo printed in black ink on the back of hand. The 940HV has a full sock polyester fleece lining and foam padding on the back of the hand and fingers.